Looking for a top quality childrens entertainer? then look no further!!! Magic Mark's Entertainment's aim is a simple one, to offer top quality party entertainment at a affordable price. Based in the lancashire and cumbria region we cover all the northwest including, lancaster, morecambe, kendal, barrow in furness, windermere, cumbria, workington, penrith, grange over sands, blackpool, preston, and all areas inbetween. Award winning magician Magic Mark is one of the north west's funniest and busiest childrens party entertainer's. Mark has not only worked all over this country but all over the world too! taking in such countries as Spain, Italy, France, Sweden, Denmark, Ukraine, Russia. Mark has worked extensively in theatres too, with many touring productions and summer seasons and pantomimes under his belt. In 2016 Mark was given the honour of being one of only 6 performers to be specially chosen to perform at the world famous Blackpool Opera House theatre in front of an audience of his peers. Mark has worked for many companys including, ASDA, TESCO, MORRISONS, SAINSBURYS, BLACKPOOL PLEASURE BEACH, FRANKIE & BENNYS, and many more. Mark is a modern entertainer for the Harry Potter generation, gone are the old uncle stereotype's Mark is fresh, energetic and fun. Magic Mark combines highly visual original colourful magic which is full of participation guaranteed to get the children laughing and screaming, and having a great time. Magic Mark's engaging personality and unique sense of fun makes sure all the guest's, yes even the adults will have a great time making Magic Mark the number 1 choice for your party. 1 hour party, or the mums favourite 2 hour megatastic party, all can include the kool magic show, krazy games and competitions, megatastic mini disco including snow machine, and as a special gift the birthday child will receive a special MAGICAL dvd as a thank you for inviting Kool Kidz Party's to the party. Partys all have full public liability insurance, and are fully C.R.B checked so that you have total peace of mind. so don't delay, book today. see you there. Full party package includes a magic show, party music, puppets, games, balloons, and prizes. 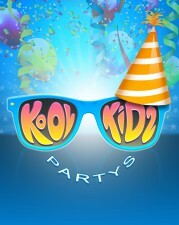 kool kidz will help make it a stress free party. partys lancaster, childrens party morecambe, lancaster magician, cumbria magician, northwest magician, magic mark magician, kool kidz MAGICAL partys, childrens party specialist northwest, childrens entertainer barrow in furness, childrens entertainer, morecambe, childrens entetainer lancaster, childrens entertainer kendal, childrens entertainer windermere, childrens entertainerlancaster, childrens entertainer morecambe, childrens entertainer cumbria, kids party entertainer, kids party entertainer lancaster, kids party entertainer morecambe, kids party entertainer cumbria, childrens party specialist, childrens party specialist in lancaster, childrens party specialist in morecambe, childrens party specialist in cumbria, children entertainer, childrens party northwest, childrens entertainer northwest, childrens entertainer bolton, childrens entertainer wigan, childrens entertainer manchester, party magician bolton, party magician wigan, party magician manchester, kids party specialist lancaster, kids party specialist morecambe, kids party specialist kendal, kids party specialist barrow, kids party specialist cumbria. magic mark magic shows, circus skills, partys games, balloon magic shows.